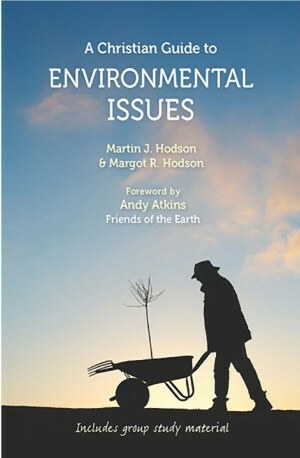 A Christian Guide to Environmental Issues is a modestly sized book, equipping readers to grapple with big issues, working well for an inquiring individual who seeks to connect faith with environmental concerns, and also as a good resource for church-based discussion groups. One author, a plant scientist and environmental biologist, the other is a Church of England priest who ministers in a rural setting. Together they explore several pressing environmental issues, using a combination of personal experiences, local stories from across the worldwide church, and scientific and theological insights. The environmental topics covered include the pressing, the popular, the less usual, and one that is often avoided in this sort of literature. The urgent question of climate change is addressed; so too are the popular topics of energy and biodiversity. Questions about water, food and soil are each given a chapter, as is population, a topic where controversy looms large and relatively little appears from environmental writers. Each chapter begins by using story and science to explore the topic. Helpfully, science is regarded as resource, not a threat, and it is presented in a basic, balanced and accessible style. Then follows a biblical or theological reflection. The chapter on water, for example, is a way into considering salvation; God’s sovereignty and our responsibility informs the exploration of population; incarnation and food are explored through ideas of local community and the building of relationships. Each chapter concludes with some simple material for use in Bible studies; the Ten Commandments and biodiversity, climate change and Jesus’ Parable of the Talents, soil as seen through prophetic visions of figs and vineyards. Refreshingly, scripture passages are not approached with the intention of uncovering some ‘true’, but previously overlooked (environmental) interpretation of the text. Rather, readers are invited to revisit some familiar (and less familiar) texts, ready for them to spark new ideas, insights and commitments, relevant to today’s world. Throughout, he authors’ specific setting, experiences, and theological and organisational commitments are apparent but presented positively, hospitable to other perspectives; all part of what makes this an accessible resource for different people and settings.